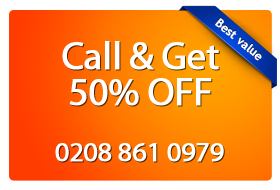 Magic Carpet Cleaning in Earl’s Court SW5 is a company providing wide array of cleaning services at very affordable rates. It has been in market and serving customers for several years, with thousands of regular customers. They provide service to offices and houses to which trained and skilled professionals are sent for cleaning rugs and curtains. Only cleaning rugs or fabrics is easy but not without damaging its property is tough. Hence Earl’s Court (SW5, SW10) Magic carpet cleaners are the best for this purpose since it cleans in depth and also makes it germs free and that ensures a healthy environment. Hot water extraction is the method that is used for dusty rugs and stained upholstery. Carpet cleaning services are best because with cleaning it attains satisfaction of customers. The services included are offered in minimum rates that are provided to regular and new customers.